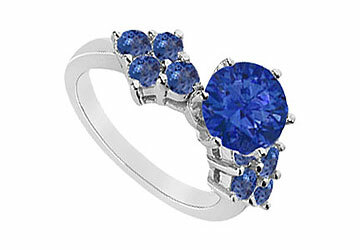 A round deep azure sapphire is set in the center. Four round sapphires make a dramatic diamond shape on each side of the center stone. Made in 14K white gold this ring has a total gem weight (TGW) of 1.00 ct.